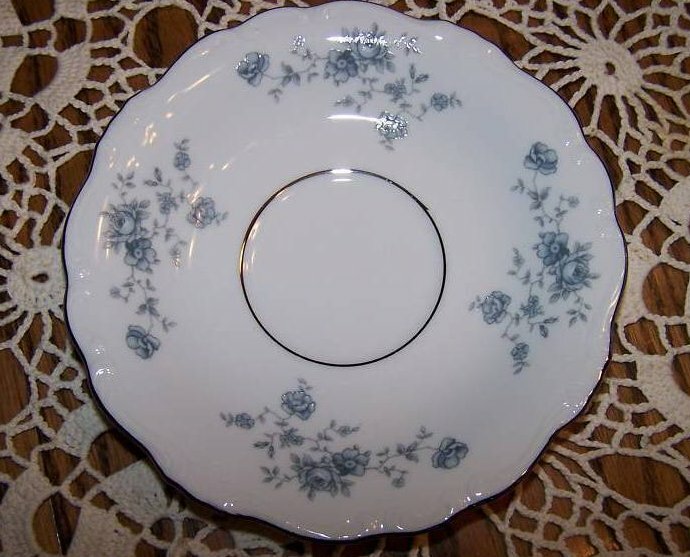 A delightful offering from Johann Haviland of fine porcelain and delicate vining blue roses. 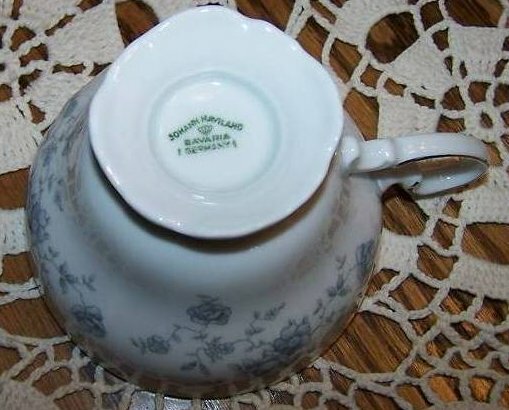 The cup bottoms and the saucer edges are scalloped and highlighted with platinum. 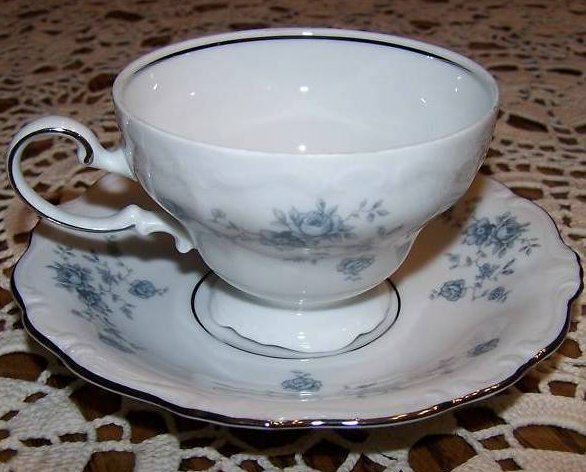 A delightful offering from Johann Haviland of fine porcelain and delicate vining blue roses. 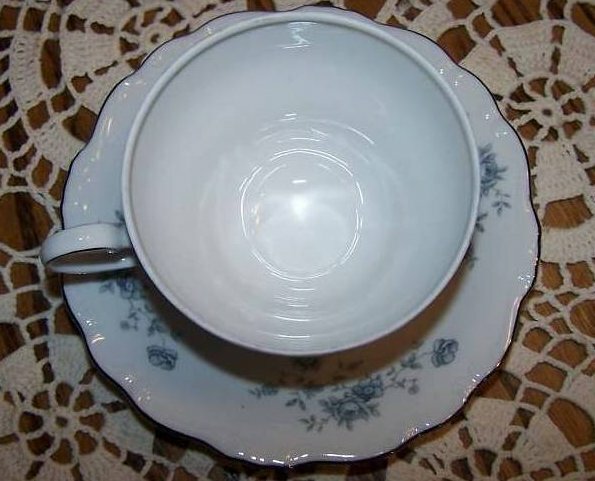 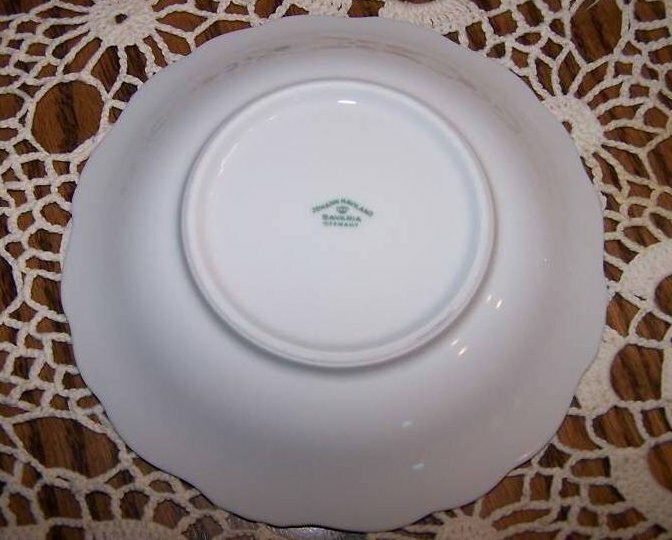 The cup bottoms and the saucer edges are scalloped and edged in platinum.